Rhinebeck Equine LLP is an exclusively equine practice located in Dutchess County about 120 miles north of NYC, in the Hudson River Valley. 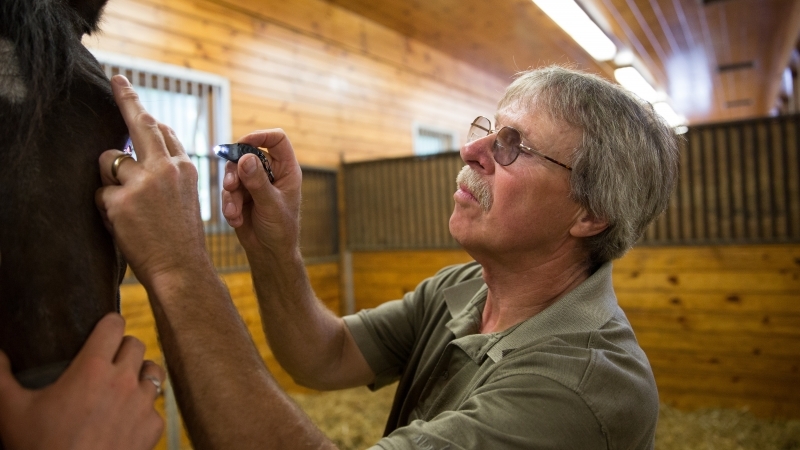 There are many larger sport horse farms, as well as boarding stables and backyard family barns. The strong New York Thoroughbred Breeders program has encouraged the growth of many Thoroughbred breeding farms in our practice area. The practice provides ambulatory coverage in a 50 mile radius, but the majority of clients are within 35 miles of the office. 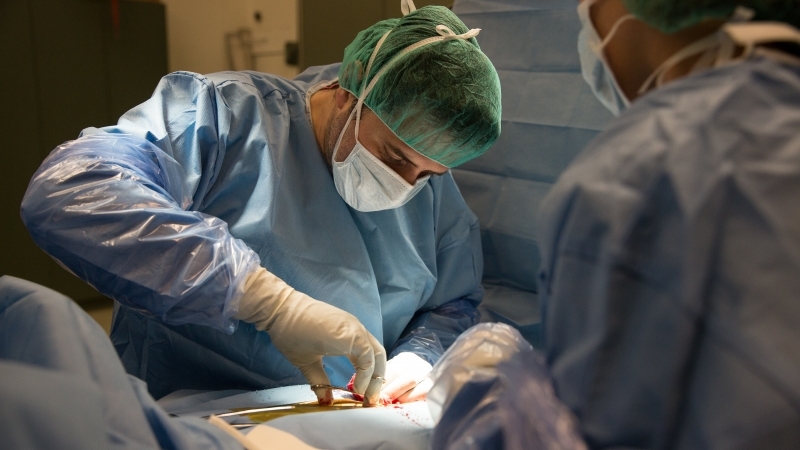 Our hospital referral cases are primarily drawn from New York, Massachusetts, and Connecticut, though we have also seen cases from as far away as northern New England and as far south as the Carolinas. 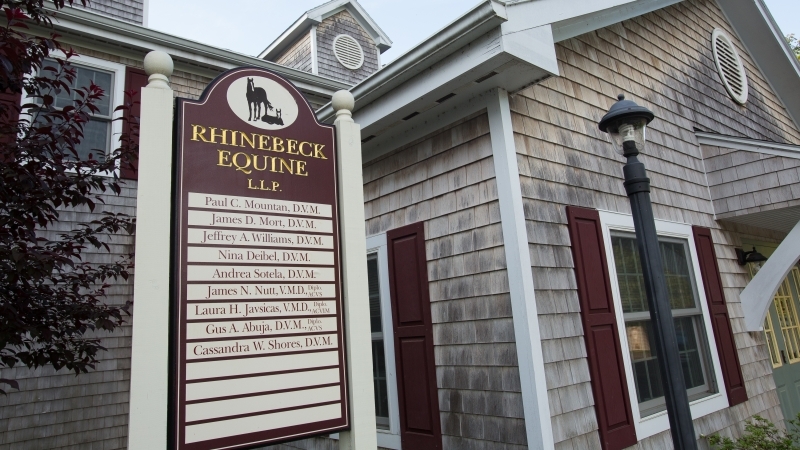 The practice that is now Rhinebeck Equine LLP began in the 1940’s as a general mixed practice owned by Dr. Kenneth Gumaer. Dr. Ron Miller joined in 1963 and developed the practice’s strong reputation in large animal medicine and surgery. He retired in 1989. 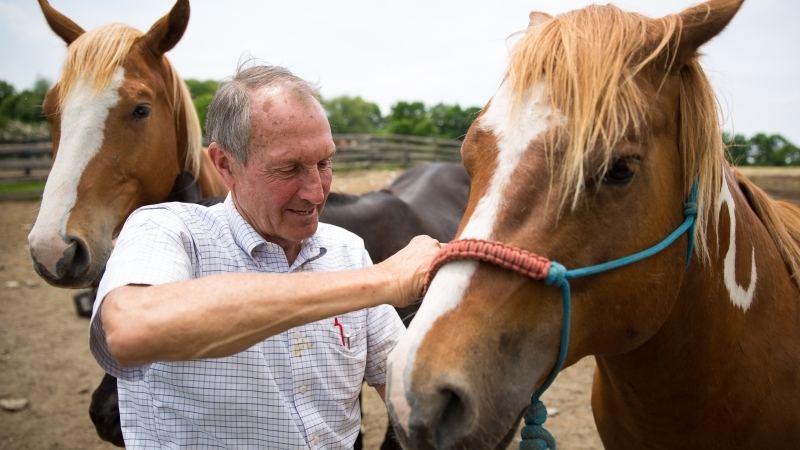 Dr. Paul Mountan joined the practice in 1969, bringing equine expertise and experience. 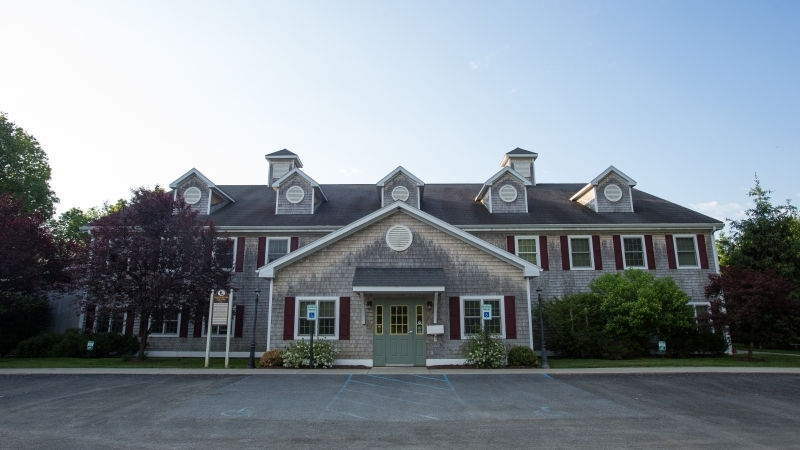 A few years later, Dr. Louis Tumolo came to the practice, and in 1972 purchased and split off the small animal portion of the practice, which became the Rhinebeck Animal Hospital. The remaining large animal practice was called Miller & Mountan. In 1978, Dr. James Mort was hired, and in 1983, Dr. Jeff Williams became an associate. They were admitted as partners in turn, creating Miller, Mountan, Mort & Williams. When Dr. Amy Grice was hired in 1990, the practice was 95% equine, 5% bovine and small ruminant. With her admission as a partner in 1996, the practice became Rhinebeck Equine LLP, an exclusively equine practice. Over the years, our exclusively ambulatory practice grew steadily, and additional associate veterinarians were added. Dr. Nina Deibel, who joined the practice as an associate in 2001, was admitted as a partner in 2006. Over ten years ago, demand from our clients and strong practice growth fueled the decision to build a “State of the Art” hospital, which opened in November 2002. With this new venture, Dr. Lance Bassage joined our team and served as staff surgeon from 2002-2010, after which he took a faculty position at Ontario Veterinary College at the University of Guelph. 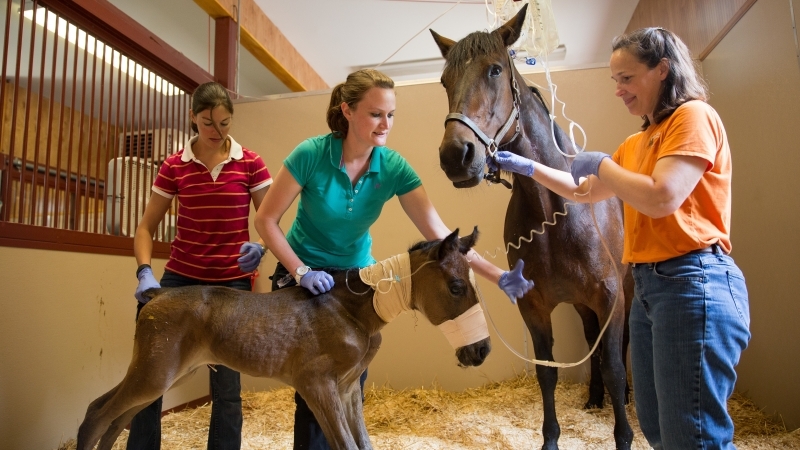 With continued growth and expansion, Rhinebeck Equine LLP added additional board certified veterinary specialists in the fields of medicine and surgery. We currently have two board certified surgeons and one board certified internal medicine specialist.